Looking for a new way to revive the age old combination of pasta & sauce? 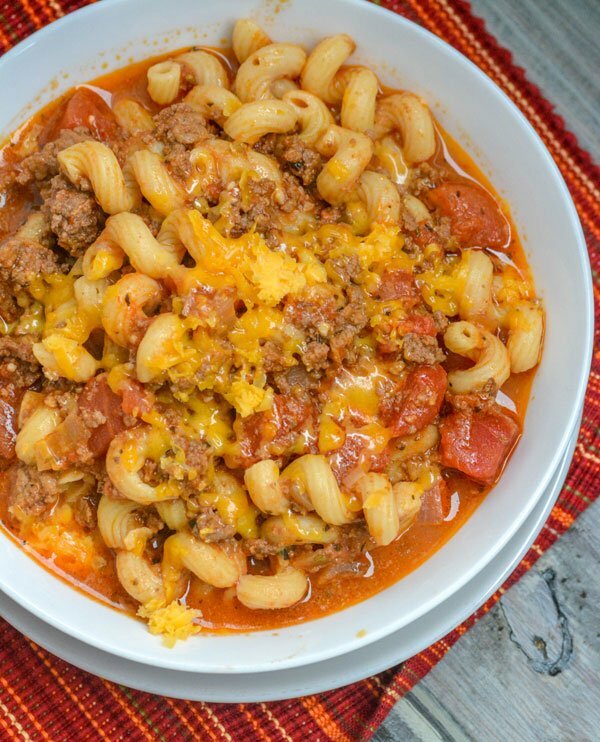 Grandma’s American Goulash is the yummiest way to do just that. Ground beef, your favorite pasta, a blend of cheeses, made in a single pot and all in a savory tomato based sauce- what’s not to go ga-ga for?! Craving the chicken marsala you love, but don’t think you have the time? This 20 minute One Pot Chicken Marsala Pasta is the gourmet flavor you’re craving, whipped up in a single pot with the accompanying pasta thrown right in- making it everybody’s Italian dream dinner. 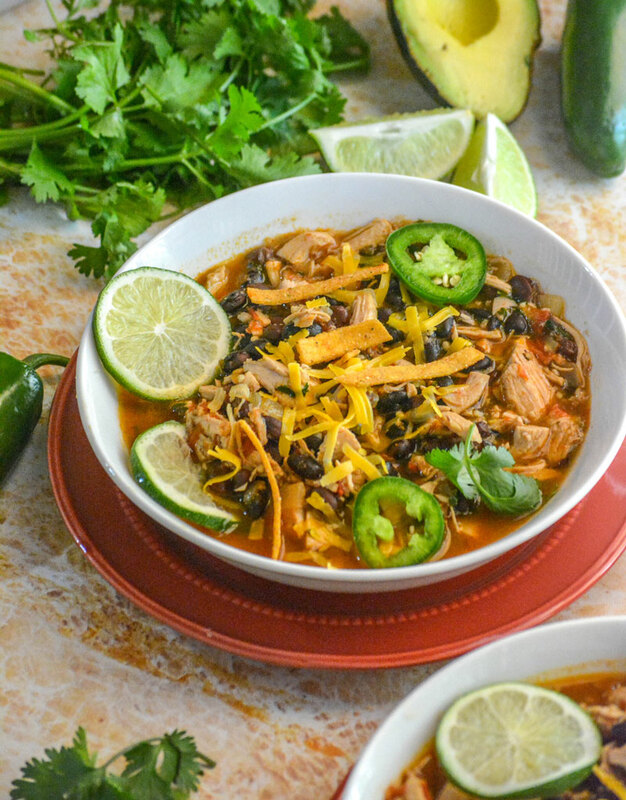 If you didn’t think soup was for Summer, then check out this Healthy Chicken & Black Bean Tex Mex Soup. 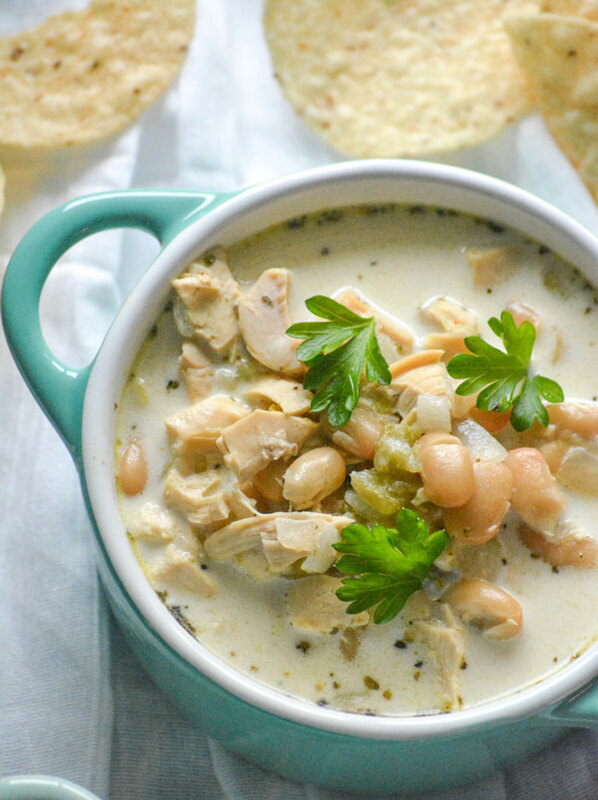 Packed full of protein and fiber, it’s a beautiful blend of flavors you crave, in a single soup bowl, that won’t weigh you down. It’s begging to be topped with your favorite fixin’s! Quick and easy dinner are something we’re always on the look out for. 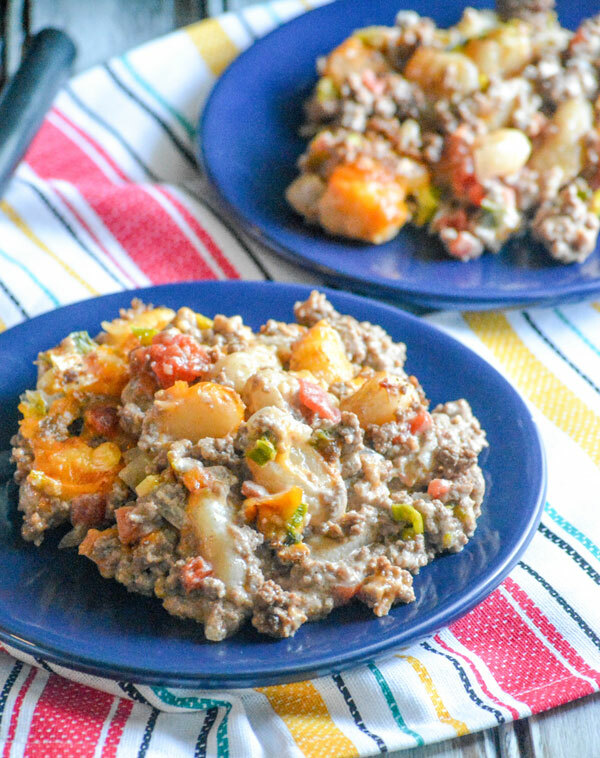 Look no further than this yummy Cheeseburger Gnocchi Skillet Dinner, comfort food that’s a creamy, dumpling filled spin on an old fav. This One Pot Creamy Chicken & Vegetable Pasta is the meal every busy parent’s week night dreams are made of. Chock full of healthy veggies, pasta the kids love, all tucked up in a savory cream sauce. 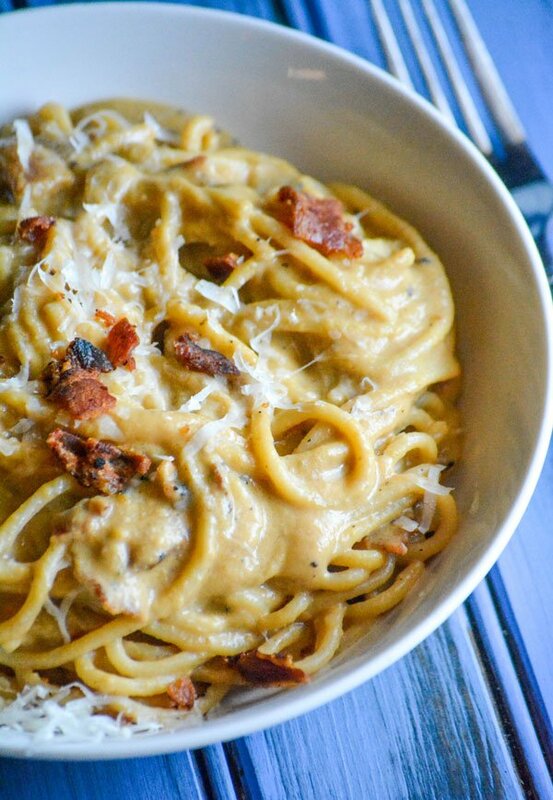 It’s comfort food made simple. A quick & easy version of the traditional dish, this Quick & Easy Greek Yogurt Chicken Curry is simple, but bursting with flavor. Served over a bed of rice and topped with chopped nuts, a sprinkle of fresh cilantro, and served with fresh naan bread on the side- it’s the whole meal in a single bowl. 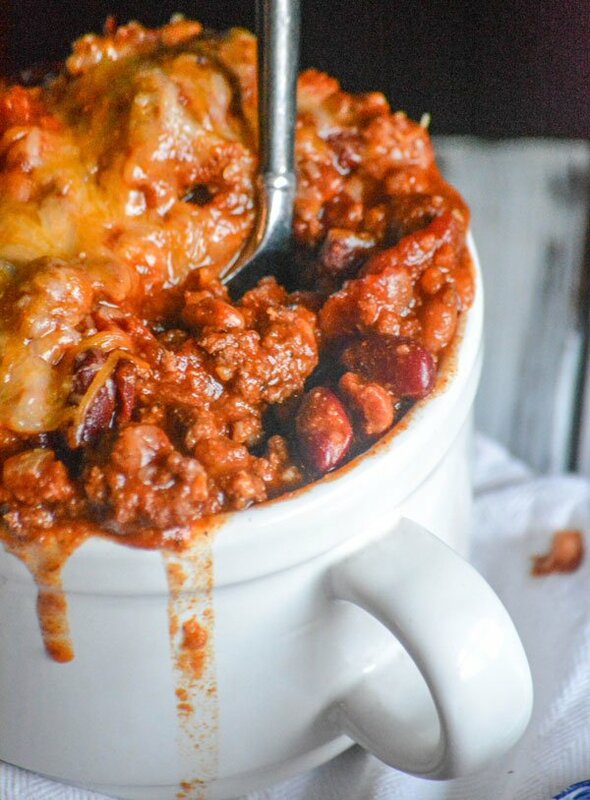 A hearty dish that beautifully blends savory spices with sweet flavor notes, this Sweet Heat Chili is a quick & easy Winter meal by the bowlful. One pot is all you need making it perfect for any crowd, be it a family dinner or feeding hungry fans on game day.